I spent three years of my life in Barcelona as an urban geography student specializing in spatial planning. 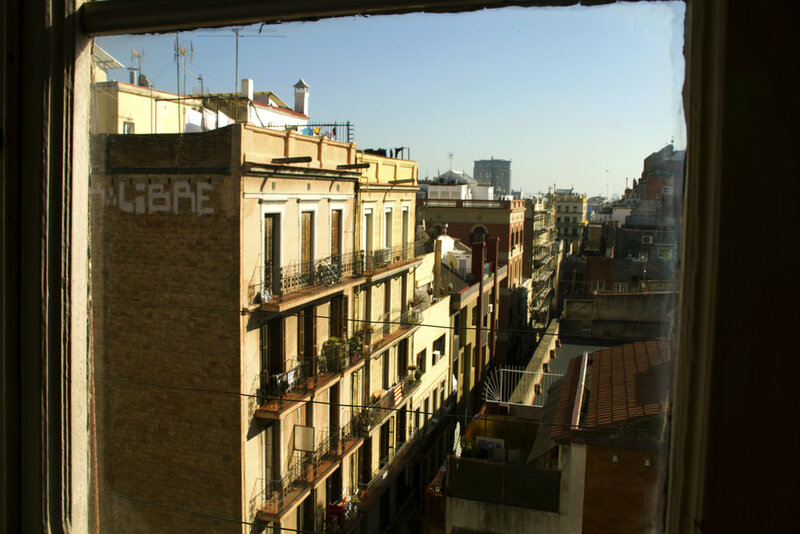 For me, Barcelona represents a waystation, while for most residents the city is their home. But how much longer will it continue to feel like home? In recent years, locals have seen an increasing threat in the arrival of massive numbers of tourists and short-term residents to the Catalan capital. They fear the newcomers are blotting out traditional life and the local sense of identity. Commuters want their city back, and also most of the youth is unhappy about the current face of the city. Is it just nostalgia for a past they might not even remember, or are they right to protest? One of my favorite documentaries about the city is called “Barcelona, abans que el temps ho esborri”. It’s Catalan for “Barcelona, before the times erase it”. The documentary depicts a bourgeois family who have played a great role in shaping the city’s image and outside reputation in its zenith. The film is a precious piece of nostalgia; a throwback to a simpler time, for less over more. Even the vintage photos of the streets and the grands boulevards in the city at that time incite a feeling of defeat. Have we sold out something that’s precious to us? Something we might regret today? Has Barcelona’s unique identity already been erased, were the times so cruel to it? Or is it just the past that has always remained a great place for those who don’t really remember it, especially for the youth? To answer this question I would like to explore the urban reality and public spaces a little further, because it is the public spaces that are the essential ingredient in the creation of a sense of community. One of the most prominent Catalan writers, Josep Pla, said that Barcelona was ‘a chaotic model in a chessboard’, referring to the gridded plan of l’Eixample and the expansion of the city-centre. To this, the great urban planner Albert Serratosa i Palet replied: “the situation is not that bad; human freedom demands cities that are capable of absorbing a ‘tolerable amount of chaos’”. To me, Barcelona is so vivid and diverse, a harmonized dissonance. It’s like different neighbourhoods have been stitched together in a clumsy patchwork. Walking from the one end of a street to the other, you feel like you’ve passed through several different cities. Contrary to the urban banality and unification that most global cities are experiencing, each city block has its own unique yet disorienting atmosphere - especially if you’re exploring it on foot. l’Eixample, for instance, was designed to be an extension of the city-centre in the late 19th century, planned by Ildelfons Cerdà. However, it did not develop as the visionary Cerdà had originally planned. His plan is still considered revolutionary today since he concocted it entirely from scratch. A plan is great, but its implementation is another thing. Unregulated over-construction means the area has deviated from Cerdà’s original and idealistic aspirations. Most green spaces vanished for the sake of more residential areas. Nevertheless, in some respects, Barcelona has stood by his vision. There are still legal protections, as for example there are no skyscrapers, and individual buildings are under a pattern of control. Life in Barcelona comes with unique challenges beyond its labyrinthine urban planning. It’s a port city, trapped between the mountains and the sea, with a high population density. As a pedestrian, you can easily find your way, but you’re always stuck in traffic. Despite the air and noise pollution that are part and parcel of overpopulation, walking remains the most democratic and healthy means of transportation. Another consequence has been the withdrawal of traditional family units to smaller towns in search of calmer lifestyles. Many young adults struggle to find affordable housing, while they watch real estate prices rise. The result is a procrastinated emancipation of Spanish youth as the average age of moving out to a place of their own was 29,4 in 2014. These challenges are complicated by the arrival of foreigners. In many port cities, newly arrived low-income migrants are gradually pushed into the suburbs within several years, because they cannot afford the cost of rent downtown. But in Barcelona, most immigrants still live where they first settled: close to the port. So, compared to other European cities, the urban sprawl has been reversed. A friend of mine, who comes from Barcelona and specializes in Urban Studies, told me over coffee about a common saying among locals. They say, “the biggest ghetto here is Pedralbes”. 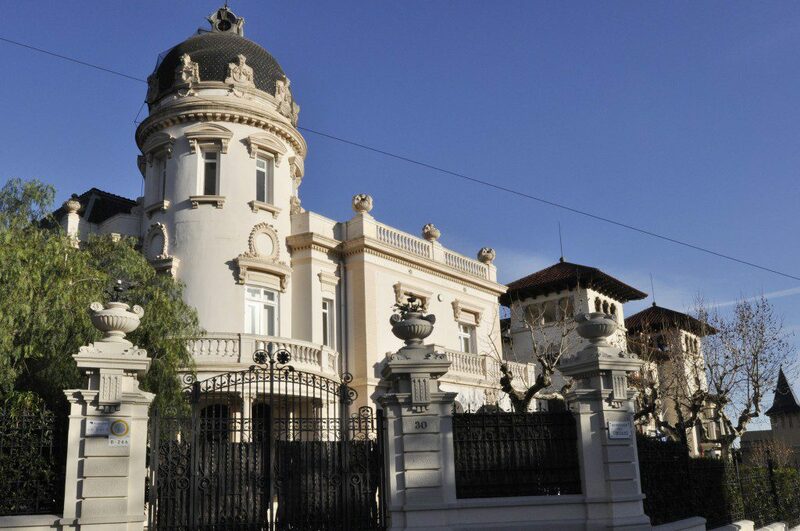 But actually, Pedralbes is the wealthiest area, isolated in the upper part of the city. Thus, the areas close to port, known as the Ciutat Vella, the ‘old city’ in Catalan, are more likely to be populated by immigrants and the poor. Social scientists are especially interested in Raval. It is a district with high percentage of low-income migrants, who are living on the edge of the poverty threshold and are at a risk of social exclusion. Controversially, these residents are also highly visible: tourists come to take pictures of their clothes hung out on the balconies for their vivid colours. Poverty in Raval is colourful, full of life and exotic sensations. It has made the district a public attraction. As a result, huge amounts of government funding is allocated here, both to keep Raval attractive for tourists and to gentrify and renovate the area. The lower part of Raval is still the place where many migrants first land in Barcelona. Currently, the proportion of foreign residents in some of Barcelona’s neighbourhoods exceeds 40%. For the whole city, the foreign urban population had been estimated to be at 22,2% in 2015. The problem is that most of these foreign residents come and go, the so-called Easy JetSet, while the original ones stay. The Metropolitan Government (La Generalitat) decided to invest in reestablishing social networks by renovating some zones. But the government didn’t foresee that this well-intentioned investment would be mostly taken advantage of by hipsters instead of locals. So the locals rebelled. Urban renewals have a positive side as well, and have played a really important role for the integration of minorities. In Barcelona, it has helped prevent the stigmatization of entire districts, as has happened in London and Paris. 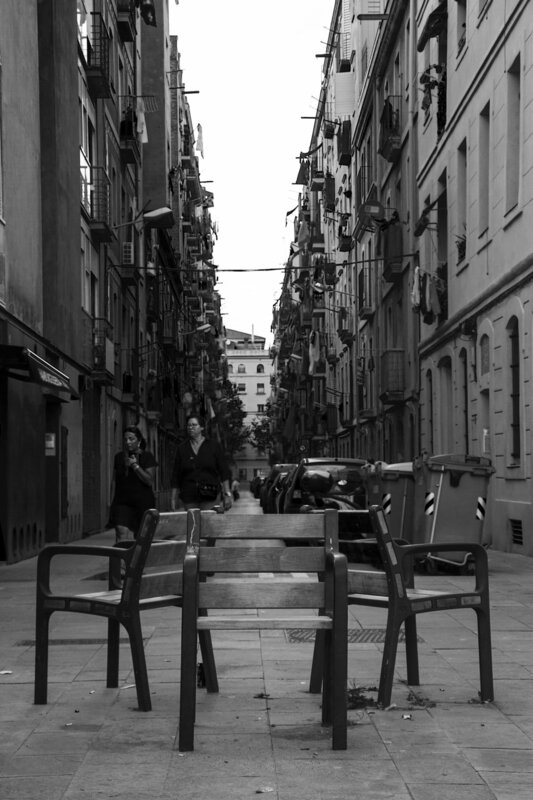 As part of a project to re-energize the area in 2006, the faculty of History and Geography of the University of Barcelona moved to a (then) rather delinquent area in Raval. The aim was to attract the young to the area, and to improve the balance and interaction between social groups. One year earlier MACBA opened its doors, just next to the Centre of Contemporary Culture of Barcelona, which in turn, is opposite the entrance of the University building. This cultural cluster sparked an ongoing debate about whether it is an example of unfair gentrification and arts-led regeneration, or whether it should be considered part of the Urban renaissance, due to the increased attractiveness of the area. Young people from all parts of the world have come here to exchange ideas and get involved in small scale knowledge-based activities, which usually is a key factor for the prosperity of a city. At the same time, many fail to profit from such unidimensional urban policies. The less prioritized remain swallowed up by the joys of passersby, and are forced to adjust and defend their identity on a daily basis. The narrow streets in the lower part of the district are known especially for the streetwalkers and smugglers. On the other hand, many landowners took advantage of the situation, offering non-contracted illegal room sharing. The former have also proven to be highly allergic to taxes. This, combined with the AirBnb empire effect, has shaped the image of Raval in the last decade. While I was searching for some root causes of the repressed identity, it turned out that the cornerstone for the city has been the Olympic games in 1992. When I lived in Barcelona, I spent a serious amount of time in Gràcia. Everyone who knows the city, knows that Gràcia is a Mecca for bohemians and unconventional souls. When Barcelona was promoting its Olympics, it created new footpaths in many central districts, including my beloved barri de Gràcia, which speedily turned from isolated neighborhood to a very part of the continuous city centre. Barcelona is not alone in suffering from its dedication to cultivating its image and brand. “Tourist” has become a rather obscene word the city no longer needs. Many movements have emerged, ran by disturbed citizens. Associations of neighbors form revolutionary groups, inspired by global movements like the back-to-the-city movement, and the right to the city. These local groups organize evening debates as a counter-force: they aim to stick another label on Barcelona, that of “rebel city”. Many people come together on the weekends, reading from David Harvey and Neil Smith’s large volumes and blaming La Generalitat for explicitly promoting consumerism. Urban social phenomena are interconnected, and difficult to unravel from one another. Barcelona is a progressive city with an incredible history, and has always been appealing to wandering souls. A square in the Gothic district is named after George Orwell, who on his arrival in 1936 wrote: “When I first reached Barcelona I had thought it a town where class distinctions and great differences of wealth hardly existed.” On my first visit, only 17, I thought the same. Indeed, there is something inviting and seducing in this city’s airy atmosphere and vibrancy, both figuratively and literally: it’s a city of short-distances, but poverty lurks around the corner once you come out of your bio-coffee shop and follow the narrow street down to the harbour, where the sidewalk ends. In the future, Barcelona will continue to attract highly qualified youth to land Big Data jobs and fulfill La Generalitat’s ambition to maintain its status of a leading smart city. Civil society groups will continue to confront and engage in public projects to reach consensus on urban and inclusion policies and to withstand inequality. It is an open road, but there is also evidence of dialogue and commitment from all actors involved, which will eventually lead to something meaningful. But the sooner the better, before time erases its memory. moving with the times, are we?